Pro-Palestinian demonstrators throw firebombs at Gothenburg synagogue while protesting Trump's Jerusalem recognition. 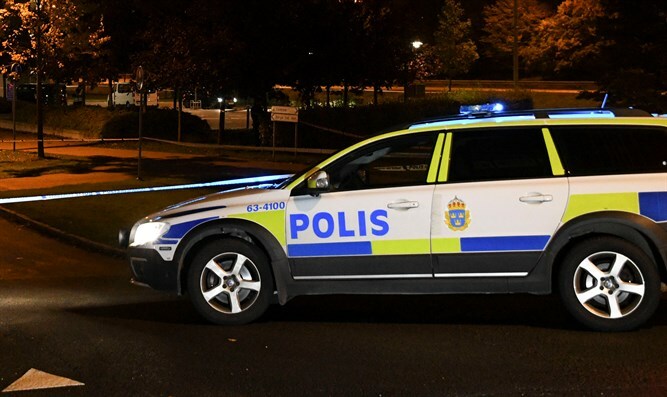 Pro-Palestinian Arab demonstrators on Saturday night threw firebombs at a synagogue in Gothenburg, Sweden, local media reported. According to the report, about 20 Muslim protesters who were demonstrating against U.S. President Donald Trump's decision to recognize Jerusalem as the capital of Israel are responsible for the attack. "The police came, they cleaned the place, and they checked to make sure that everything is in order. The parents came and took the children home. There were a few children who were very stressed. One of them told me that he was feeling very unsafe. Another told me casually that because he has a very Jewish name, it causes Arabs in his school to curse him, harass him and spit on him. It's very hard for him,” continued Maoz. Earlier on Saturday night, dozens of Muslims demonstrated in the city of Malmo and shouted anti-Jewish slogans in the wake of the U.S. recognition of Jerusalem.